Elsie Marie Long Coble, 87, of Liberty, passed away on Tuesday, October 3, 2017 at Siler City Center. A funeral service will be held Friday, October 6, 2017 at 2:00 p.m. at The Loflin Funeral Home Chapel. Burial will follow the service at Fairview Cemetery. The family will receive friends on Friday, October 6, 2017 from 12:00-1:45 p.m. before the service, and other times at the home of Mike and Gay Coble. 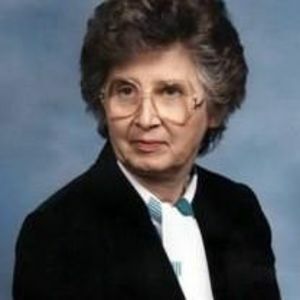 Elsie was preceded in death by her parents, Mary Bauer and Adolph Long; husband, Paul Harold Coble, Sr.; sister, Paulene DeAndressi; and brother, Sonny Long. She is survived by her sons, Paul Coble, Jr. (Cleta), and Mike Coble (Gay); grandchildren, Sarah Weiss (Josh), Hannah Coble, Jessica Buckles (Jeffrey), and Lauren Parr (Josh); and great-grandchildren, Olivia Parr, Emma Buckles, Joshua Weiss, and Isaiah Buckles. Please share your thoughts and memories with the family at www.LolfinFH.com. Loflin Funeral Home of Liberty is honored to serve the Coble family.